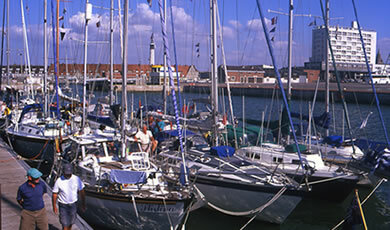 For year 2014, Dunkerque (port du Grand large, port du commerce, port de la Marine), Gravelines, Calais, Boulogne sur Mer , Etaples sur Mer a 20% discount berthing fee in one of these ports of call, whatever the number of stays. (And except from July 14th to August 15th). To benefit from this offer, the Cruising association members will display their membership card on arrival.It is advisable to contact the marinas before coming to check the number of berths available . 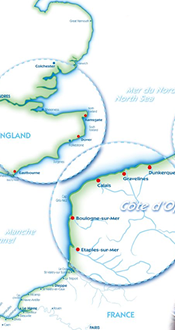 Plaisance Côte d’Opale, Etaples sur mer, Boulogne sur Mer, Calais, Gravelines and Dunkerque are pleased to welcome you and make you discover this exciting part of France.